Interpretation of the fragrance by Bath and Body Works. 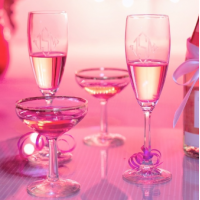 Pop, clink and sparkle with an effervescent blend of Champagne, juicy nectarine and blackcurrant.. Performance in CP Soap: No separation, no ricing, tan discolouration. Suggested usage rate 4%.